IRS Form 940 is the federal unemployment tax annual report form. This form is used to report and pay unemployment taxes to the IRS. If you have employees, you must report and pay unemployment taxes. You do not have to deduct these employment taxes from employee pay, but you must set aside amounts for this tax and report it on Form 940. The form first calculates the employer's federal unemployment tax liability, adjusts for any state unemployment taxes paid, and then calculates the unemployment tax due. Finally, the form compares unemployment tax due for the year to the tax already paid. Your business must pay any unemployment tax still due to the IRS. Unemployment taxes are paid by employers to fund federal and state unemployment tax funds. These funds provide payments to employees who have been terminated or laid off from their employment. You paid wages of $1,500 or more to employees in a calendar quarter of the year. You had one or more employees for at least some part of a day in any 20 or more different weeks in either of the past two years. Employers must count all full-time, part-time, and temporary employees, but not owners or partners. When Is Form 940 Due? The due date for Form 940 is January 31 for the previous year. For example, for the 2018 tax year, the form is due on January 31, 2019. However, the IRS says that if you deposited all of the FUTA tax when due, you have 10 additional calendar days to file. If January 31 is a weekend or holiday, the Form 940 due date is the next business day. 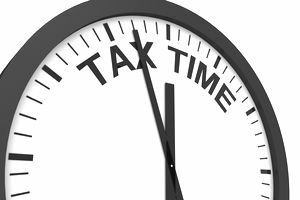 When Are Form 940 Payments Due? Your unemployment tax payments may be due before the due date of the 940 report form. If your FUTA tax is more than $500 for the calendar year, you must deposit at least one quarterly payment. If your FUTA tax for a quarter is less than $500, you can carry it over to the next quarter. You must make a quarterly payment when the cumulative unemployment tax due is more than $500. How Do I Make Payments for Form 940 Taxes? In addition to the annual FUTA report on Form 940, you must also make payments on unemployment taxes, either annually or quarterly, depending on the amount owed. To make federal unemployment tax payments, you must use the Electronic Federal Tax Payment System (EFTPS). You cannot mail these payments to the IRS. How Do I Complete Form 940? IRS Form 940 is used to compute the amount of federal unemployment tax liability of a business from the previous year. The form also is used to determine the amount of unemployment tax owed for the previous year and any unpaid and due unemployment taxes. Calculating the total amount of payroll (the gross pay) for all employees for the year in question. Subtracting payments not included in unemployment tax liability (fringe benefits, for example). Subtracting employee payments in excess of $7,000 for the year. Totaling the federal unemployment tax, based on the above figures. The calculation is the total of all unemployment-taxable wages times the rate. Read more details about how federal unemployment tax liability is calculated on Form 940. You can e-file Form 940 with the IRS in several ways, depending on whether or not you are making a payment. You can also mail the form to the IRS. See the IRS instructions for Form 940 for a list of states and addresses for filing Form 940. How Is Form 940 Filed for Disregarded Entities? A disregarded entity is a business that is separate from its owner but which elects to be disregarded as separate from the business owner for federal income tax purposes. The most common disregarded entity is a single-member LLC. The IRS says that a disregarded entity must file Form 940 using the Employer ID of the owner, not the employer ID of the business. What's the Difference Between Form 940 and Form 941? These two forms are often confused, but they are for different types of taxes that employers must pay. Both forms go to the IRS. Form 940 is for reporting and paying unemployment taxes annually. Form 941 is for reporting payroll taxes quarterly. The payroll taxes included in this report are for federal income tax withholding and for withholding of FICA taxes for Social Security and Medicare.